Gov. 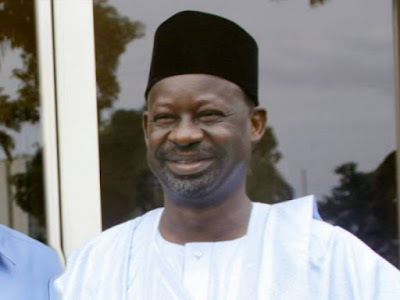 Ibrahim Dankwambo of Gombe has again refused to appear before the Presidential Investigation Panel on the Special Anti-Robbery Squad (SARS) over the death of one of his personal aides. Mr Tony Ojukwu, chairman of the panel, also Executive Secretary of the National Human Right Commission, said that the governor refused to honour the summon of the panel. He said even when the governor was said to have been in Abuja on Thursday. “You are only here to make excuses for him, he received the option of fair hearing and he made his choice. “The panel will decide this matter on the merit and report on it,” he said. Mr Audu Danbaki, counsel to Gov. Dankwambo had earlier, told the panel that the governor travelled outside the country on a schedule flight and could not honour the summon of the panel. Mrs Okon alleged that her husband died as a result of injuries sustained due to beatings and torture by men of SARS. “The deceased, who lived in the boys quarters of the governor’s private residence in Kaduna woke up on Nov. 8, 2018 to discover that the house had been burgled and four theatre TV cinema sets carted away by unidentified persons. Dr Iheanyichukwu Ogbonna, obstetrician and gynaecologist, who served as an observer to the autopsy also testified.